5 things you should totally know about, and THE announcement that made me teary. It’s been a very hectic few weeks – and I’ve been saving up these things to tell you. Today I’m sharing those very 5 things! 1. 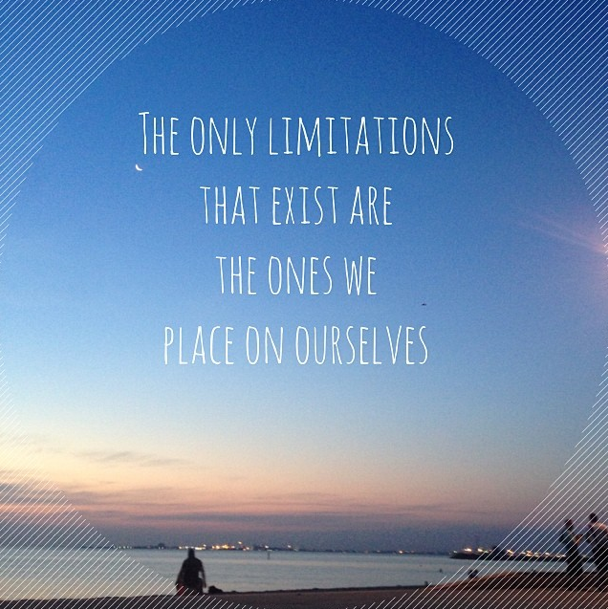 Create endless possibilities. It’s pretty simple really. 2. The next round of my Gentle Body Cleanse starts on Monday. Join us and work your insides toward feeling wellness on a totally new level! All the details are here. Let me say – you’ll get yourself summer ready (hello bikini’s), beat the bloat, cleanse the insides and get to work on that cellulite you’ve built up over winter. Oh and whilst I’m on the topic, the next cleanse will commence first week of February (Monday 3rd) 2014. So now is the last chance to get summer ready this side of Christmas! 3. 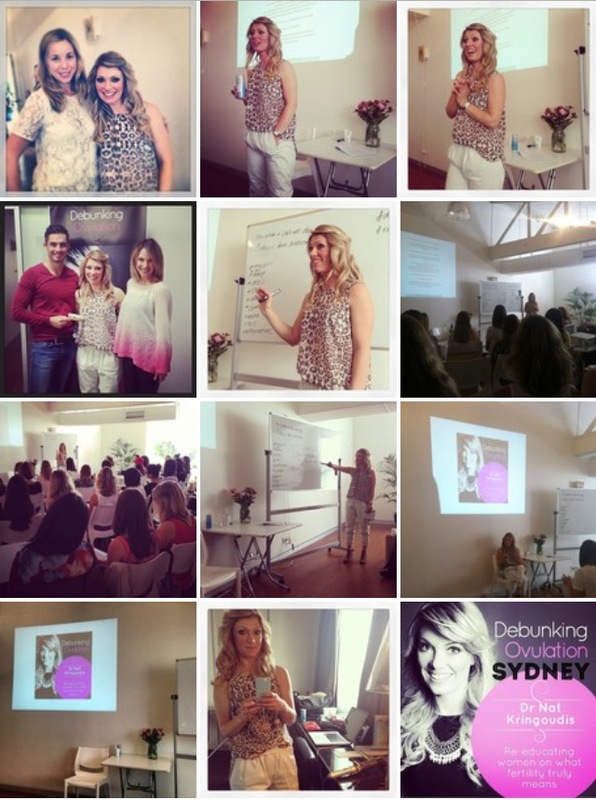 Here’s a few of my fav shots from my Debunking Ovulation tour. 4. 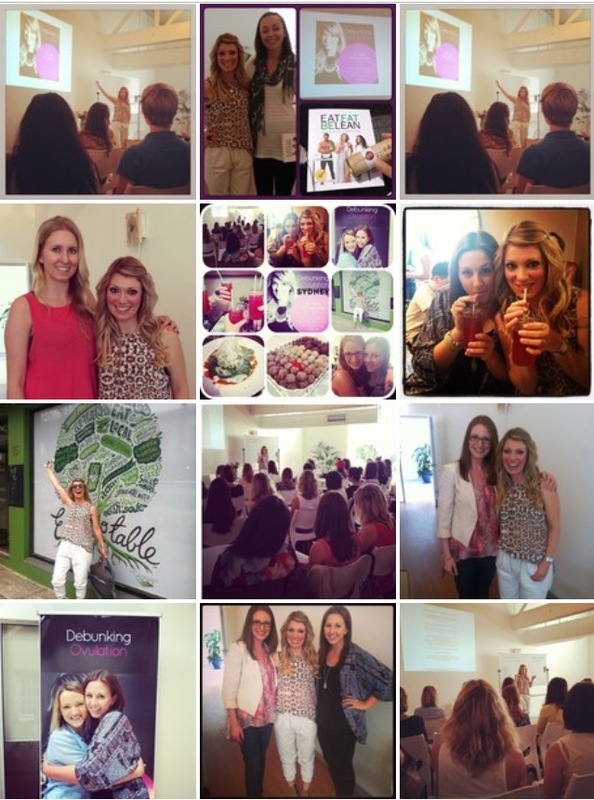 Did you see I was named one of the top 10 Health Gurus to follow on Instagram? Check out the link for the full story. I must say, I was pretty chuffed! Thank you! Here’s what they said about me. You know I’m loving the fairy god mother part! Who is she: the fairy godmother of fertility, a doctor of Chinese Medicine, acupuncturist, speaker and mother. 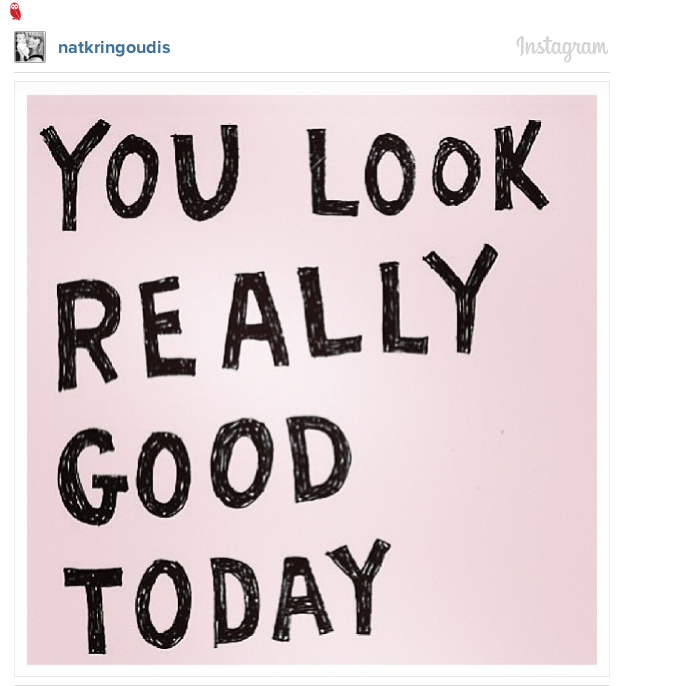 Nat posts: pictures of ‘fertile foods’, inspirational quotes and her ‘cute as can be’ kids. Follow Nat: if you have babies on the brain and want to boost your fertility the natural way. By the way – I’m natkringoudis on Instagram. If you aren’t following yet – now you can! 5. And finally – this announcement went out yesterday. Increasingly, over the past year or so, I’ve come to realise that whilst I absolutely adore being a TCM practitioner and facilitating people toward their best health, I equally have found reaching audiences on a large scale the direction I’m being led. On the back of a very successful tour around Australia, I’m also delighted to share with you today that Fertilise Yourself is going to print in the new year. With this in mind, a US tour on the cards and the gut feeling that ‘it’s time’ I’ve decided to close my books for the first part of 2014. Before you fret – I’ve got some more very exciting news to tell you. You may have had the pleasure of seeing one of my team at The Pagoda Tree of recent times as my patient hours have become less and less. I’m so fufilled with the family we’ve created here at The Pagoda Tree, I’ve hand picked these practitioners because I believe they are at the front of the field of TCM. With the realisation that next year is going to be more directed on writing and speaking, I’ve been dedicating my time to really building and educating my team so that we all are supporting you in the same way. This now means, no matter who you see in the clinic, we are all using the same principles I’ve personally created to integrate my influence to be constantly in the clinic. We’ve introduced staff workshops and patient sharing meetings where we all come together to discuss your individual cases to make sure you are getting the best care possible. This gives me a huge sense of relief knowing that I can step in and out of my clinic at anytime and you are absolutely getting the best care. I’m beyond excited to see where 2014 takes us. I’d also like to let you know (just so you don’t feel like you’re being left high and dry EVEN though the superb team are totally equipped) I’m will continue to offer Skype call in sessions each week. You might like to take advantage of these. These will work much like an appointment where you book in for a skype session and we can discuss your specific situation, if you felt the need. You’d continue to receive acupuncture from the team but I would facilitate discussions with you so you feel supported. For more information on these, please contact the clinic. There you have it – a VERY busy news day indeed! Knew I should have booked an appt with you a lot earlier. I’m SO thrilled to hear you are planning to come to the US! We need your expertise!! That is just SOOOOOO exciting! I can’t wait for the book. I learned a lot at the workshop and it was so lovely to meet you. Ԍreetings! Very useful aɗvice in this particular article! It is tɦe little changes which will make the biggest changes.